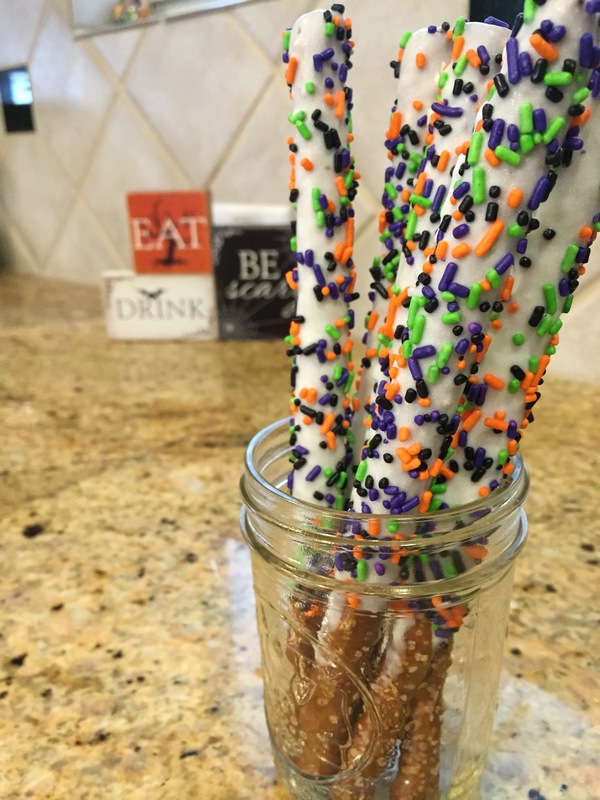 We always have chocolate covered pretzels seasonally at our home. These are so easy to make and always taste good and look fun! This is my signature “sweet” at any party! I also love to bake Pumpkin Bread…in fact we make this so many times over the fall season that I actually get tired of baking and eating and baking and eating that I vow I am done with pumpkin bread and may find a new favorite fall treat. But each October I am ready to start baking this delicious bread all over again! My oldest daughter just moved to Dallas and she wanted to bake something together before she left. We found a recipe for pumpkin cookies and homemade cinnamon frosting. While they were very good, we decided they are not as good as our pumpkin bread. I have added both of these recipes, so give them a try and see which one you like better.